To accomodate competitors who sit, stand, or are are visually-impaired, there are three classifications within alpine skiing, cross-country skiing, and biathlon. 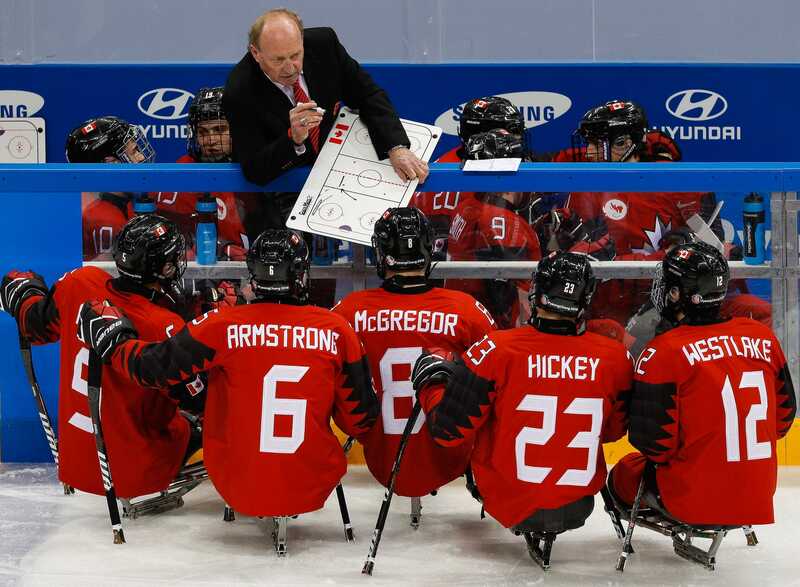 We’ve rounded up the most mesmerising photos taken at the games, which come to a close on March 18, so far. Keep scrolling to check out our top 21. There was also a ‘Parade of Nations’ where athletes from all participating nations entered the 35,000 capacity Pyeongchang Olympic Stadium and waved at the crowds. 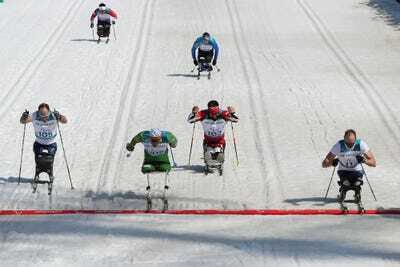 Haitao Du of China competed in the men’s cross country 20km standing event at the Alpensia Biathlon Centre on day two. Roman Rabl of Austria left a load of snow in his wake when he sped down the mountain in the men’s Super-G sitting event on day four, March 13. The men’s cross country sitting sprint on March 14 was a mad scramble to the finish line. 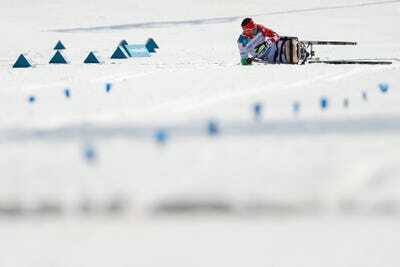 Hiraku Misawa of Japan sent the snow flying while competing in the men’s standing downhill ski event. 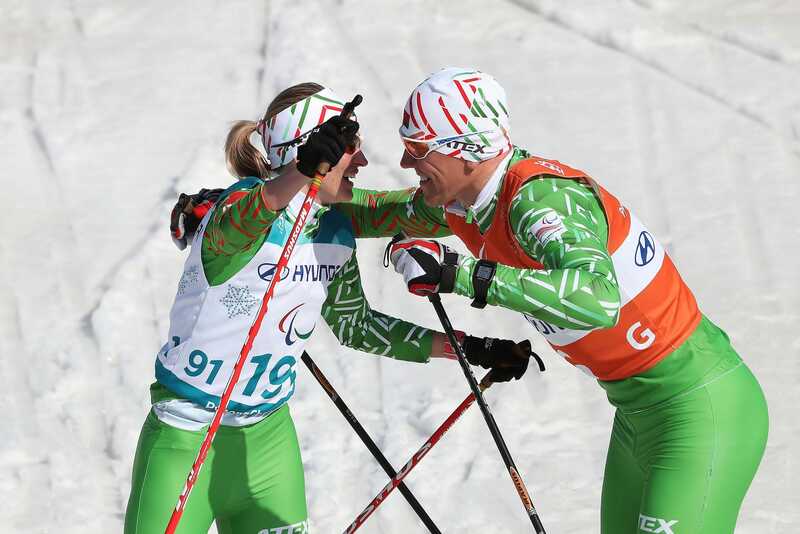 There is great camaraderie between skiers and guides and they celebrate when they cross the finish line together. 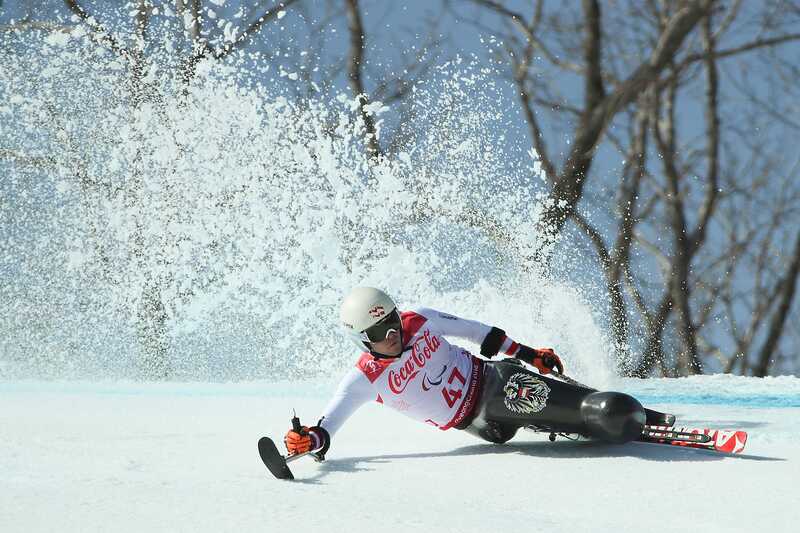 Like the Winter Olympics, wipeouts are commonplace at the 2018 Paralympics. 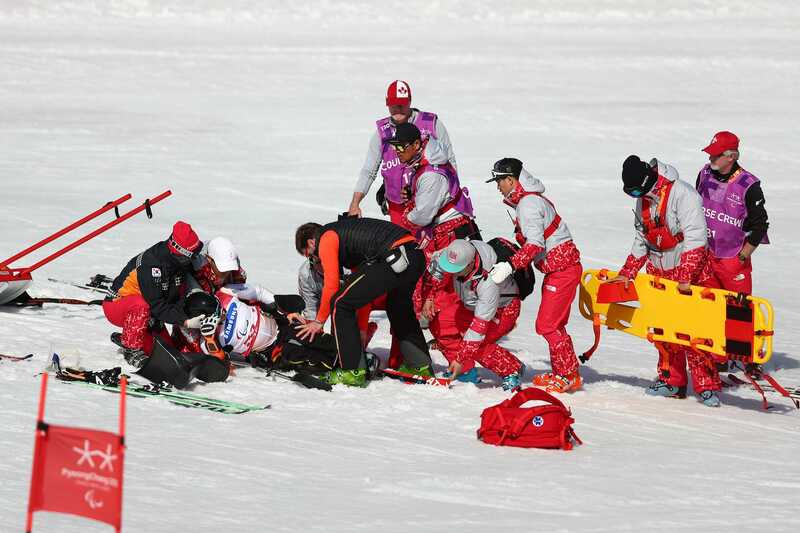 Here, Josip Zima of Croatia fell during the men’s cross country sprint sitting event. 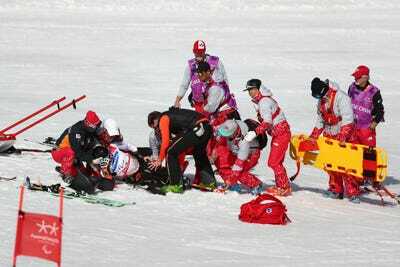 Italian skier Rene de Silvestro crashed during the men’s slalom, but course officials were nearby to lend a hand. This may look like a wipeout, but really it’s just biathlon competitor Ihor Reptyukh collapsing at the finish line, having done enough to win a silver medal in the men’s standing 12.5km event. Women’s giant slalom athlete Maria Bochet held her skis aloft having done enough to win gold. 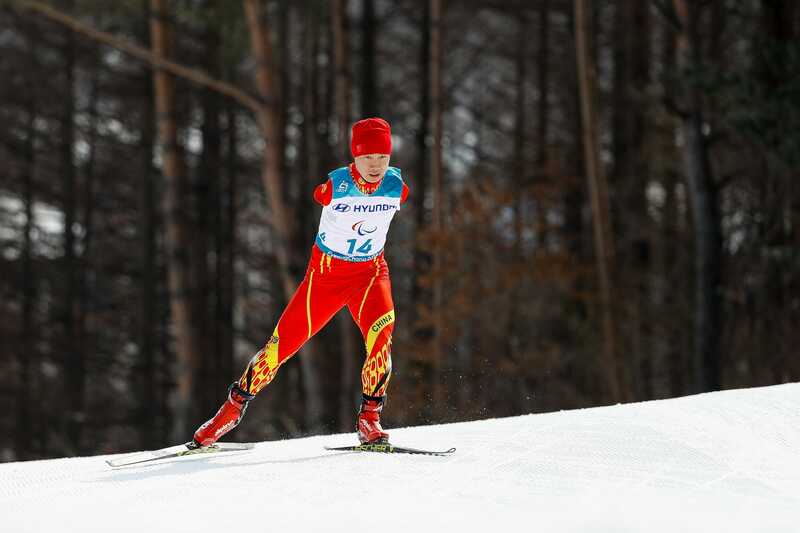 Bochet is France’s most decorated Winter Paralympic athlete ever.